Scientists discover why hair turns grey and you go bald:Breakthrough found by accident. University of Texas Southwestern Medical Center researchers have identified the cells that directly give rise to hair as well as the mechanism that causes hair to turn grey,findings that could one day help identify possible treatments for balding and hair greying. 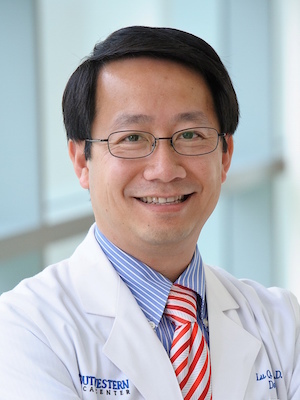 “Although this project was started in an effort to understand how certain kinds of tumors form, we ended up learning why hair turns grey and discovering the identity of the cell that directly gives rise to hair,” said Dr. Lu Le, Associate Professor of Dermatology with the Harold C. Simmons Comprehensive Cancer Center at UT Southwestern. What they did not know in detail was what happens after those stem cells move down to the base, or bulb, of hair follicles and which cells in the hair follicles produce SCF – or that cells involved in hair shaft creation make the KROX20 protein. But without SCF, the hair in mouse models was grey, and then turned white with age, Without KROX20-producing cells, no hair grew. The findings showed that a protein called KROX20,commonly associated with nerve development,turns on in skin cells that become the hair shaft. These hair precursor, or progenitor, cells then produce a protein called stem cell factor (SCF),essential for hair pigmentation. In the study, when researchers from the University of Texas Southwestern Medical Center, deleted the SCF gene in the hair progenitor cells in mouse models, the animal’s hair turned white. To be clear, this research has only been conducted in mice so far. While we have a lot of biological similarities with mice, the study needs to be repeated in humans. UT Southwestern researchers will now try to find out if the KROX20 in cells and the SCF gene stop working properly as people age, leading to the greying and hair thinning seen in older people,as well as in male pattern baldness, Dr. Le said. University of Texas,Southwestern, one of the premier academic medical centres in the nation, integrates pioneering biomedical research with exceptional clinical care and education. The institution’s faculty has received six Nobel Prizes, and includes 22 members of the National Academy of Sciences, 18 members of the National Academy of Medicine, and 14 Howard Hughes Medical Institute Investigators. The faculty of more than 2,700 is responsible for groundbreaking medical advances and is committed to translating science-driven research quickly to new clinical treatments.